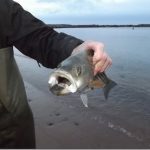 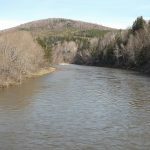 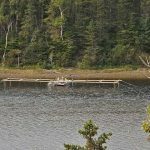 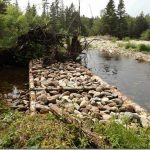 The Department of Fisheries (DFO) and the Margaree Salmon Association (MSA) partnered on the installation of a counting trap on the estuary of the Margaree River this fall. 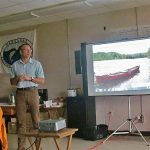 For Updates on our River Studies, Broodstock Collection, Meetings with Port Hawkesbury Paper-LP and other, ongoing matters, please check out the 2017 fall newsletter. 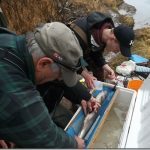 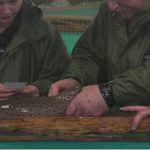 One day in early November, I dropped by the Margaree hatchery to see if the Atlantic Salmon brood-stock we helped capture from Doyle’s bridge pool this summer were still on hand.